Royal Dutch Shell has reported that its fourth-quarter profits would be lower than expected. The company announced that adjusted earnings would drop to $2.9 billion for the quarter. This is a 48 percent decline from the same quarter a year earlier. The poor performance was blamed on weak industry conditions in refining, lower production of oil and natural gas and higher exploration expenses. 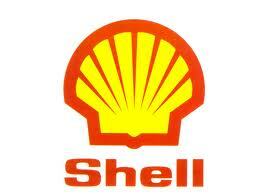 During the quarter, Shell also recorded a $700 million impairment write-down. According to Bloomberg News, analysts had expected $4.9 billion in adjusted earnings for the quarter. In a research note, analysts at Sanford C. Bernstein in London wrote, “We’re a bit shell-shocked this morning after this profit warning, which is highly unusual for an integrated oil company.” Investec analyst Neill Morton wrote in a note that “Shell has broken with its recent custom of disappointing on earnings day. It is now dishing up the bad news ahead of time.” The company has now reported three straight quarters of disappointing earnings. Roughly two weeks into his job, new chief executive Ben van Beurden had to break the bad news. In a statement, he said, “Our 2013 performance was not what I expect from Shell.” Mr. van Beurden continued on to say that “our focus will be on improving Shell’s financial results” and “achieving capital efficiency.” Mr. van Beurden was head of refining at Shell when he took over the top job from Peter Voser at the beginning of the year. Shell and Mr. van Beurden may be using the early days of his tenure to get as much bad news out of the way as possible. However, it may be the case that the situation has grown more difficult since his promotion was announced last year. It may be tough for the new chief to turn things around quickly. Oswald Clint, an analyst at Sanford C. Bernstein, said in an interview that the disappointing earnings “won’t just stop because of a new guy” at the helm.